Loungers who are inspired by the Japanese culture should not miss this year's Japan Week which will take place between March 4th and 18th in New York City. 35 restaurants will participate and feature local and regional dishes inspired by 21 Japanese prefectures to create a "culinary tour" of Japan. Many will be serving them in special "ekiben" bento boxes that are traditionally sold at Japanese railway stations. Their prices range from $12 to $25. 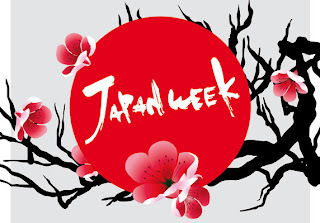 Japan Week will culminate with a cultural fair in Grand Central Station's Vanderbilt Hall from March 19th - 21st. The following is a list participating Japanese restaurants in Manhattan: Aburiya Kinnosuke, Aki on West 4th, Blue Ribbon Sushi, Cha-An, CURRY-YA, Donguri, Greenwich Grill, Go Go Curry, Hakata Tonton, Hakubai / Kitano Hotel, Hasaki, Hatsuhana, High-Collar, Kubo-chan Ramen, Kyotofu, Marumi, Megu Midtown, Misoya, Ootoya, Rai Rai Ken, Restaurant Nippon, Robataya, Ronin, Sakagura, Sake Bar Decibel, Shimizu, Soba Koh, Soba-ya, Sunrise Mart, Sushi Ann, Sushi Azabu, Sushiden Madison Ave., Sushiden 6th Ave., Tori Shin and Wasan. Additional details on the menu items and pricing will be posted to japanweek.us. Also new this year, diners will be encouraged to post photos to Japan Week's Facebook page of the dishes and drinks they enjoy at the participating restaurants, along with a short essay of why they'd like to visit Japan. The winning essay's writer will win a round-trip ticket to Japan! Please get out there and get your umami on!